Follow these essential rules for proper rare coin care, and your time investment in caring will pay dividends. If you ever decide to become a serious rare coin collector or investor proper handling and storage of your collection becomes essential. Fortunately, once you know the rules, proper storage and handling is simple. It’s all a matter of knowing what to-do and what not to-do. All the rules could come in handy when you’re ready to sell the coins. An important part of determining the value of any silver coin–particularly a rare or unusual one–comes from silver coin grading. Some of the factors used to determine the value of a rare silver coins include, the quality leaving the mint, the weight, the content of silver, the original seal, and the certificate. It’s highly recommended to grade any rare coins, and obtain a certificate proving the grading service. The two major grading and authentication services we recommend to our clients, Professional Coin Grading Service P.C.G.S. and Numismatic Guaranty Corporation, N.G.C., sonic-ally seal the rare coins they certify inside inert hard plastic holders that allow for safe, efficient handling, examination and storage. With High humidity, air pollution, salt air and temperature extremes, these can sometimes adversely affect the surfaces of rare silver coins. So, an intercept shield-holders and boxes are designed to protect your coins from these environmental risks with technology—which were developed by Lucent Technologies. This level of protection is truly a smart move. Use a Shield Holder. Second, when storing rare coins graded and certified by P.C.G.S. and N.G.C., it’s highly recommended to use Intercept Shield holders and boxes. Intercept shield-holders and boxes are lightweight, immobile holders that will help guarantee the long-term safety of your coins. For the third point, when handling raw coins–coins that have not been sonically sealed in a P.C.G.S. or N.G.C. holder–here are several hard and fast rules you ought to follow. Clean Your Hands. Always wash and dry your hands thoroughly before handling any rare coins. Your hands are a breeding ground for bacteria and naturally contain oils that can damage any rare coins you might handle. Gold, silver, nickel, aluminum, zinc and copper can all be adversely affected by these bacteria and oils. Coins that are handled over time can develop carbon spots, change in color or even corrode. All of which will adversely effect the value of your coins. Never talk or eat over or near rare coins. All it takes is a microscopic partial of saliva or food to land on rare coins to change its appearance. Carbon spots, changes in color and even corrosion can occur. Always hold a coin by its edge – never allow your fingers to touch the obverse or reverse of the coin. Over the years hundreds of very expensive coins now have fingerprint and thumb-prints. More often than not, even the most skilled coin care expert cannot remove these prints. 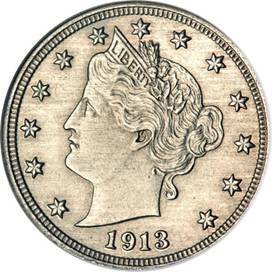 The prints permanently damage and reduce the values of these rare coins. Oils, bacteria populations, and just plain dirt sit on your hands. So, if the coin is in its original seal or bubble, that seal saves the coin from all the oil, bacteria and dirt from hands. Definitely, the less exposure to air and accidental touching the higher value the coin will remain. Use a Jewelers Felt Pad. When examining coins that have been graded or that are still raw, use jewelers felt pad. Drop a rare coin once and you’ll never hold one again without a table and jewelers felt pad directly underneath the coin your examining. If dropped, P.C.G.S and N.G.C. sonically sealed plastic holders can crack, shatter, and chip. When a single mark can be the difference between a coin being worth $50,000 or $15,000 you certainly want to make sure you never take that risk. When examining a coin you should always have the following checklist in mind: make sure any coin you examine has no hole or plug. No kidding; people have been known to put holes in rare coins and people have been known to plug these holes in an attempt to recover the numismatic value of these coins. Make sure there are no rim bumps, damage or repair. Don’t buy rare coins that have rim damage. Collectors hate those coins and investors just won’t buy them. Check for hairline cracks created just by handling a silver proof coin. Handling the coin remains why many silver coins are downgraded to Proof-63 and Proof-64 instead of Proof-69 or Proof-70. Anything that touches the surface of the coin can leave hairlines. Sorry for the repetition, but touching the coin devalues the coin. Do Not Clean Rare Coins. And, make sure any coin you examine hasn’t been cleaned. Look for heavy lines and abrasions. The surfaces of the coins, whether toned or brilliant, should be original. Improper caustic cleaning has damaged valuable coins. When you’re taught by an expert, you can easily tell a cleaned coin from one that remains original. High quality rare coins should never be cleaned by anyone other than a skilled professional numismatist. It can destroy the coin. As chemicals clean the silver, the chemicals can sometimes remove a layer of silver leaving a bright surface underneath. Or, a second method of cleaning uses mechanical cleaners where abrasives are used and will commonly scratch the surface of the coin. Either chemical or abrasive cleaning can reduce the grading and therefore the value of the coin. In you have a significant silver coin collection then a regular appraisal is important for insurance purposes. A loss through fire or burglary can be devastating both financial as well as emotionally and, while insurance cannot compensate for the emotional loss, at least it can compensate you for the financial loss you may suffer. Therefore it is quite important that a proper appraisal of your rare silver coins, and indeed, any other valuables you may have, is done to establish the true value of your coin collection. Remember, value is determined by demand, scarcity, and condition—not your personal opinion. Have a professional coin dealer, who is also a member of a respected coin association in your country, to appraise the coin or coin collection. A professional is usually the best option. However, there are now several coin appraisal websites that will give you a rough estimate. In this particular instance, using an online resource like eBay is extremely helpful. Search eBay for a similar coin such as yours, look for year, condition, and other similarities as close to your coin as possible. Then look for the bid prices to see what your coin may be worth. Another on-line resource is on-line coin dealers; sometimes you can find the coin(s) you have online and see what online dealers are charging for them. This gives you some idea of its value. Keep in mind, however, that dealers will add her own mark up to the price, so you won’t get the some amount a dealer asks for. But, for an off-line option go to the library. Coin appraisal books are available at most local libraries. While the books maybe out-of-date, the coin appraisal books will still offer a close rough estimate. You will have to pay for a professional coin grading service, but the small amount you pay is worth it to get a proper assessment of the value. You’ll need to ensure that you get a written statement from the professional service that fully describes each coin and the estimated value as of the date you have grading done.